Find out what your Foley, AL home is worth from an independent source that specializes in appraisal emulations of residential property in Alabama. Neighborhoods include Ashford Park, Cambridge Parke, Kennedy Park, Mansion, Old Town Foley, Parish Lakes, Park Place, Pebble Creek, Plantation Magnolia River, and Summercrest. Get much more than a real estate agent’s comparative market analysis (CMA) for Baldwin County communities. We estimate prices for single family homes, condominiums, and townhouses for landlords, investors, and individual buyers and sellers. Other area cities for property appraisal emulations are Bay Minette, Daphne, Fairhope, Gulf Shores, Orange Beach, Robertsdale, and Spanish Fort. 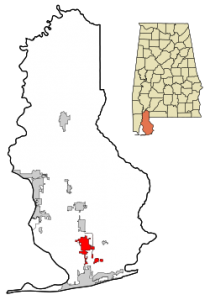 What’s My Foley, AL Home Worth?